The Thyme Dodder (Cuscuta epithymum) is a small parasitic plant which grows over several plants which grow in garigue areas. 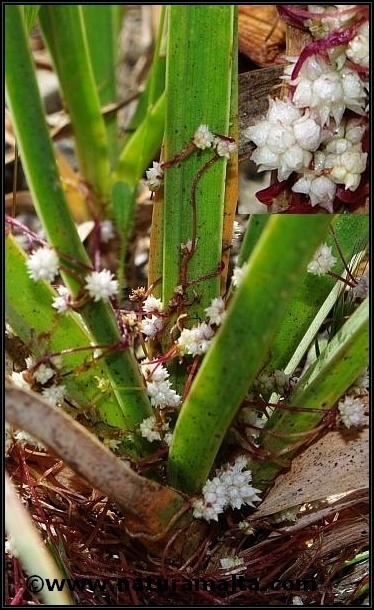 It parasitizes squill and thyme. It lacks roots and has very small leaves but the overall colour is pinkish-red and lacks chlorophyll.